In 2013, there were 45,525 new cases of lung cancer in the UK and it kills around 35,000 annually (Source: CRUK). Non-small cell lung cancer (NSCLC) accounts for around 87% of all lung cancer. NSCLC is one of the leading causes of death worldwide and presents a huge health economic burden. The majority of patients with NSCLC present with locally advanced or metastatic (stage IIIB/IV) disease. Chemotherapy is one of the main treatments for patients with advanced NSCLC but those treated median survival remains modest, at around 9-10 months. 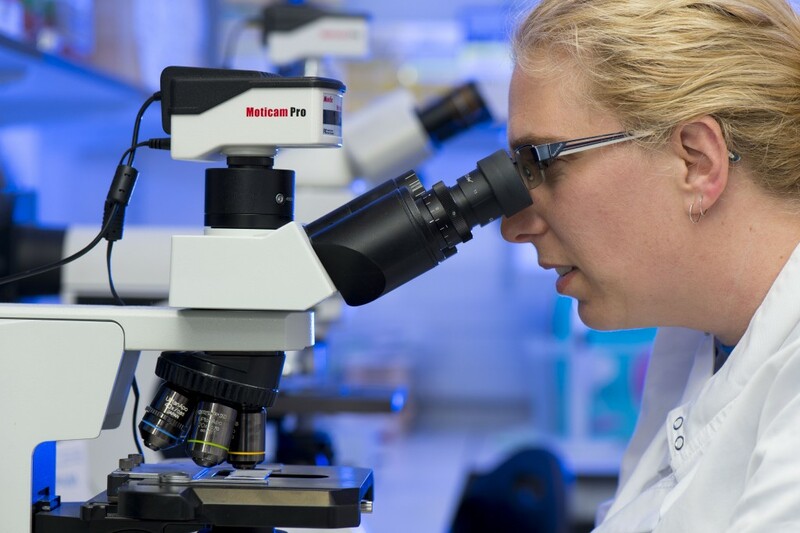 The PARP Inhibitor in advanced NSCLC (PIN) study, funded by Cancer Research UK and AstraZeneca and sponsored by Velindre NHS Trust, seeks to address advanced lung cancer, which is a significantly under-researched cause of cancer death. The purpose of this clinical trial is to find out whether or not giving a drug called Olaparib following chemotherapy will benefit patients with NSCLC who have responded to initial chemotherapy treatment. Olaparib is a type of biological therapy called a PARP inhibitor. It blocks an enzyme that cancer cells need to repair themselves and grow. The researchers think that giving olaparib after chemotherapy may delay or prevent NSCLC from starting to grow again: This is called maintenance therapy. Olaparib may offer a potentially effective and less toxic cancer treatment compared to currently available chemotherapy regimens. A recent UK trial of maintenance Olaparib (treatment with Olaparib following completion of induction chemotherapy) in patients with ovarian cancer met its primary endpoint of progression-free survival. We know that a proportion of non-small cell lung cancers are sensitive to DNA damage (around 30%), and that these tumours will harbour defective DNA repair mechanisms resulting from specific mutations or loss of specific proteins such as BRCA1. By identifying patients who have responded to chemotherapy with tumour shrinkage, this “biomarker” will be used to select patients for enrolment into the PIN trial. In order to join this trial, any potential participant would need to discuss it with their doctor. Further information about the PIN trial is available on the CRUK website.